If you love the double halo braids, then you need to check out this next idea. 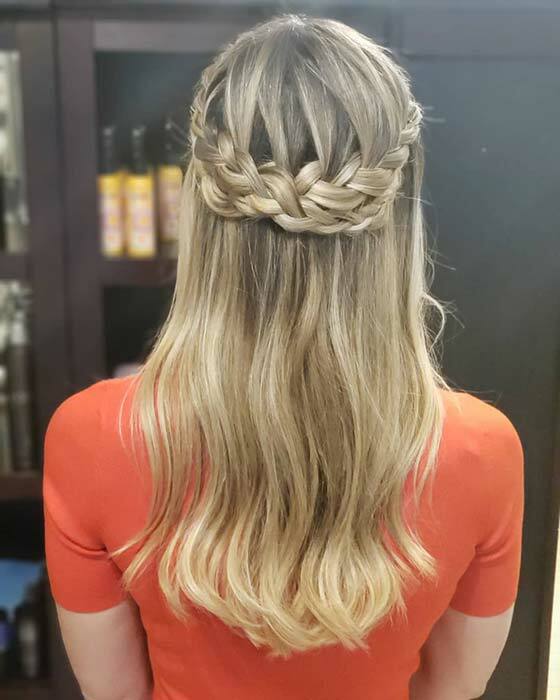 This is what a double halo braid can look at the back. You can either put the hair into an updo like we have shown on other hairstyles or carry it on like this. As you can see, the two braids look chic and stunning. Looking for a looser and more boho braided hairstyle? Then check out this braid idea. 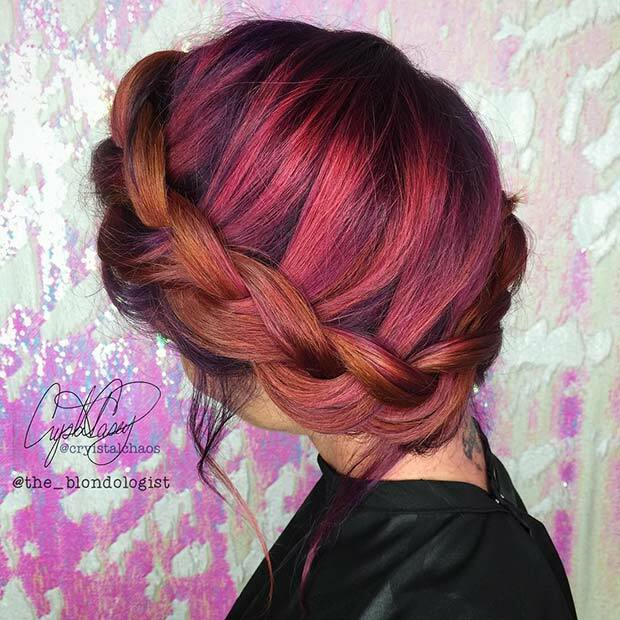 The hair is a beautiful blend of pink, purple and orange, it has been loosely braided into a halo braid. The braid is a lower and more relaxed which gives it a bohemian vibe. You can try just the braid or be daring and try the color as well! 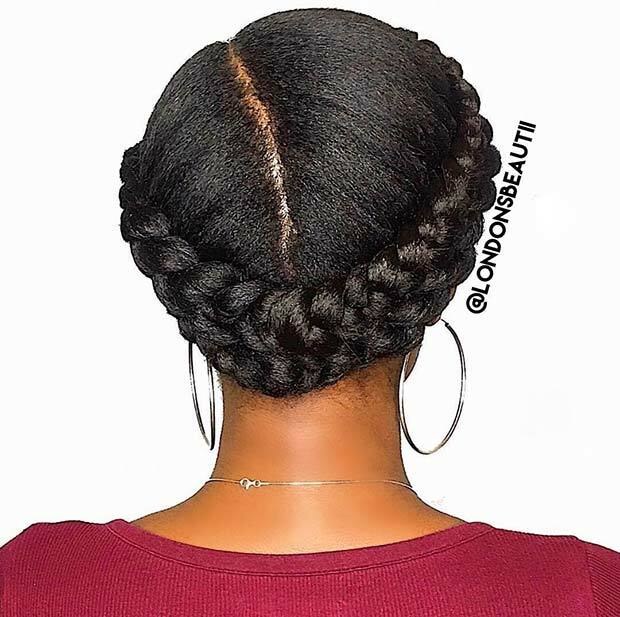 Earlier we featured a crown braid with a braided design in the center. Here is another great example of this kind of style. 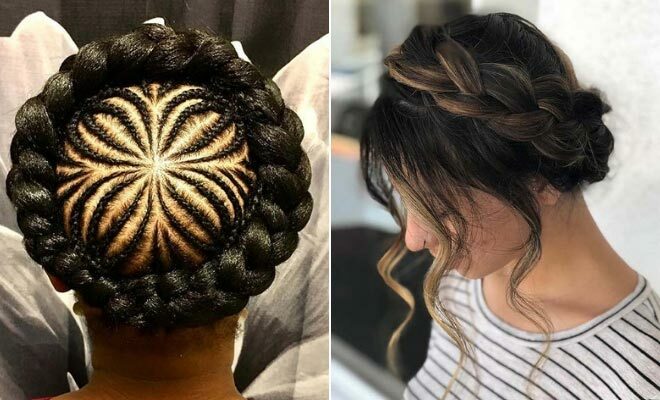 The hair has been put into a stylish halo braid with a trendy braided design. We love the braids because the pattern is wavy and the braids are different thicknesses. 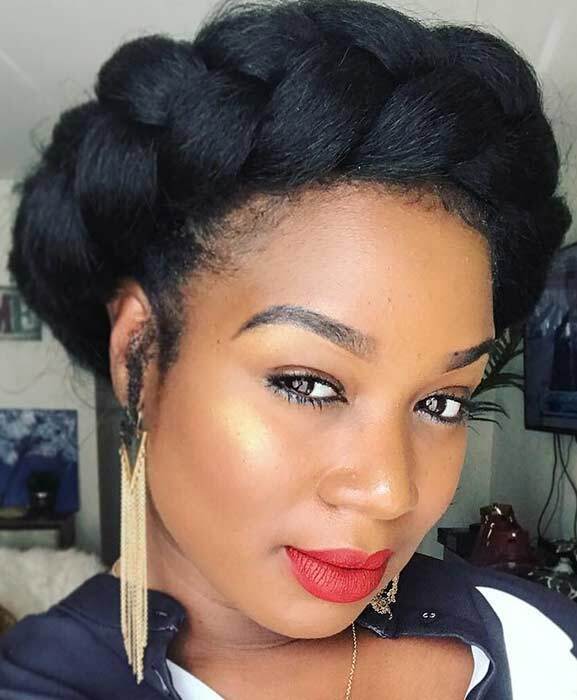 This braided style would look amazing on anyone. Our next idea is a pretty halo braid updo. The hair has been beautifully braided with loose hair at the front. By leaving some hair loose, you will get an elegant and romantic look. Hair like this would be great for a wedding or for those occasions where you want to look glam. 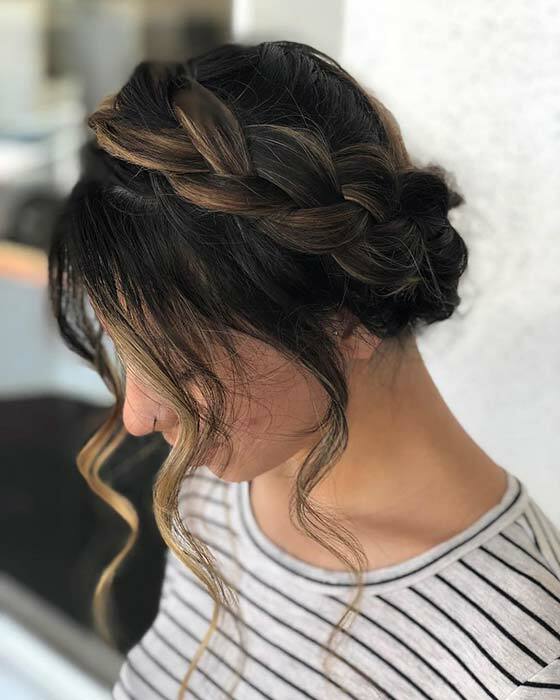 Next, we have another halo braid with a boho vibe. This one has loose hair at the front and the braid looks like a fishtail. The fishtail braid is pulled a little loose too, which gives the hairstyle a textured, stylish and relaxed look. This style would be perfect for the summer, vacations, festivals and even weddings. 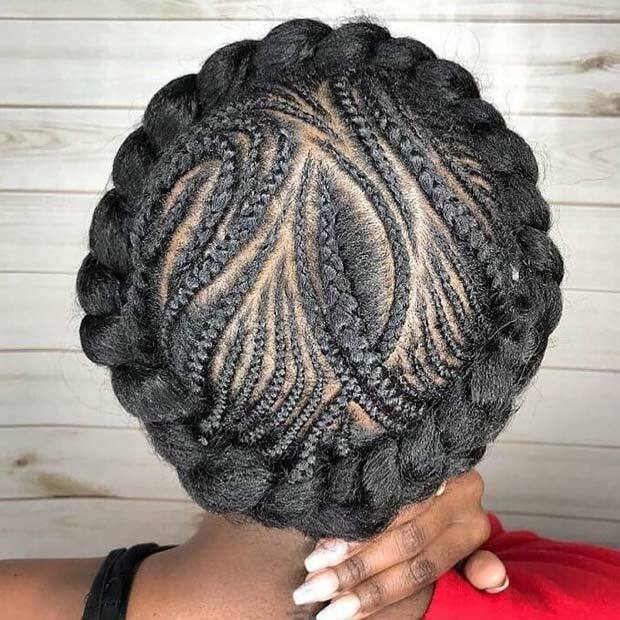 Here we have another way to accessorize your braids. 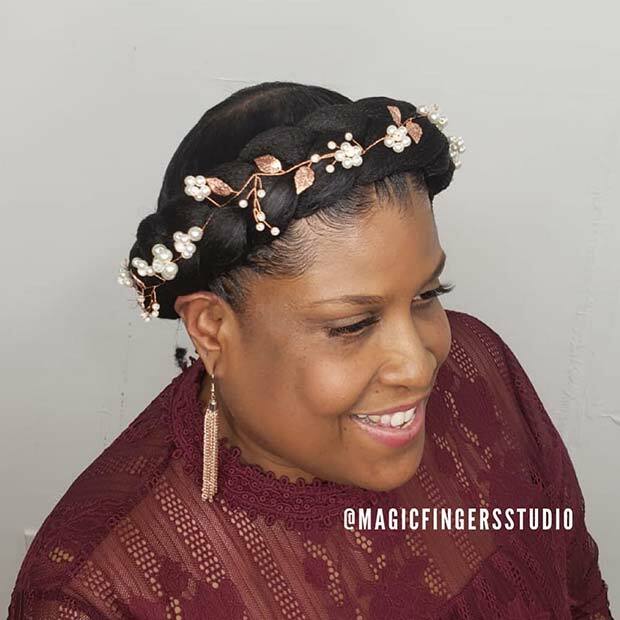 This halo braid has a beautiful accessory that features pearls, leaves, flowers and glam gold wire. An accessory like this is perfect for special events. Find an accessory like it online or even try and use a necklace. You can place a necklace in the same place and fix it in the hair with bobby pins. You don’t have to wear halo braids with an updo. Maybe try a hairstyle like our next pick. The hair has the classic halo braids but the hair has been left loose. This gives the style a beachy, boho look as the hair is slightly waved. You can wear a hairstyle like this every day or for a special occasion. We have featured halo braids with trendy braided patterns and bright colors. This hairstyle is combo of the two! 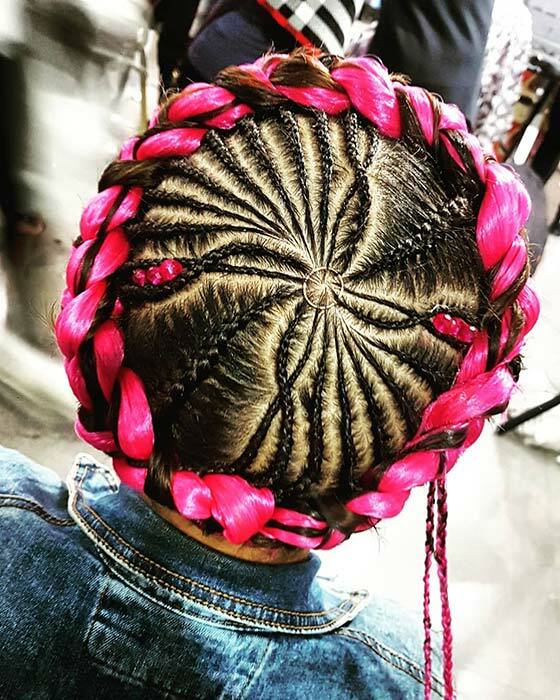 The braid has vibrant pink hair weaved into it and has a braided pattern in the center. Hair like this is perfect for the trendsetting ladies that are looking for a bold, new hairstyle! Our next hair idea is festive and fun! This halo braid is styled to look a a Christmas wreath. 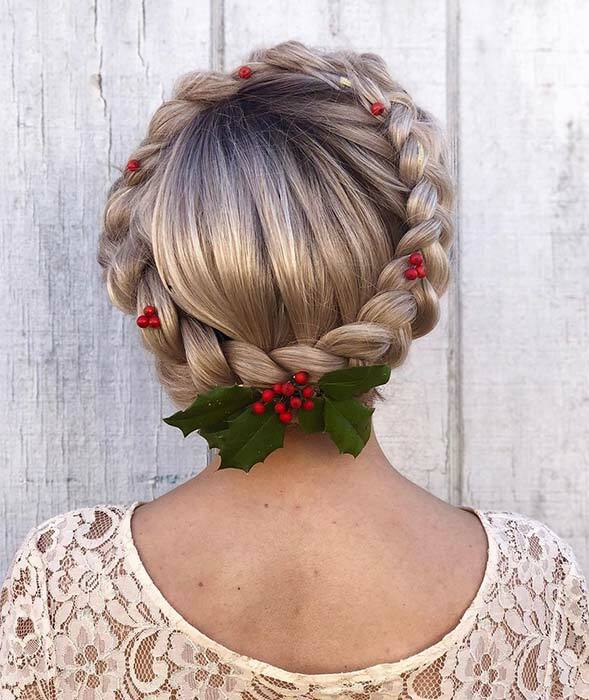 The braid is very neat and chic and it has holly and berries. This would be a great hairstyle for Christmas day and parties. We love how creative and unique this look is! Next, we have another stylish way to wear this amazing braid style. This one does not have fancy colors or accessories. It is just an simple braid that looks effortlessly beautiful. As the braid is chunky, it does make a statement. It is the perfect hairstyle for the glam ladies. 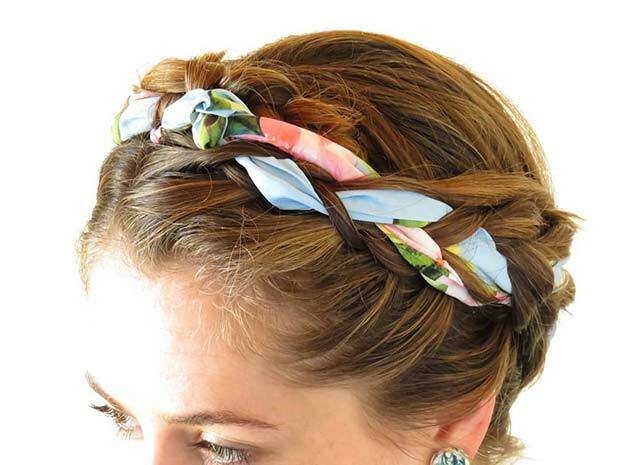 The last halo braid we would like to share with you is another accessorized look. For this style there is a ribbon weaved into the braid. As you can see, the ribbon makes the braid look unique and stylish. You can add any ribbon to your hair, maybe your favorite color or the must-have shade or pattern of the season. We hope you love these hairstyles and have found a braid look to try!